How many people can say one dish changed their life? I can say that completely truthfully. That dish was goulash. Back in the 1980s, I was working at a hotel restaurant in Salzburg when I was asked to cook a meal for a special guest. Ivor Petrak, the longtime general manager of the Banff Springs Hotel was visiting our restaurant that night. A regular, he had asked the kitchen staff to make him something spicy this time. Cooking for Ivor was a big deal. He was known around the world and had run the luxurious Canadian Rockies hotel for nearly two decades before I was asked to impress his taste buds. I rushed upstairs to grab a bag of spices that I had snuck into my luggage back in India. I was nervous. I had no formal training in cooking Indian food and living in Austria, I wasn't even eating Indian food as frequently as I would have liked. I decided to create my own version of goulash. I never do things by the book -- not now in my restaurants, and not back then when I was a chef-in-training -- so the dish was a fusion of Hungarian and Indian flavours. It was a hit, but rather than receiving simply a message of "compliments to the chef," I got the ultimate seal of approval. 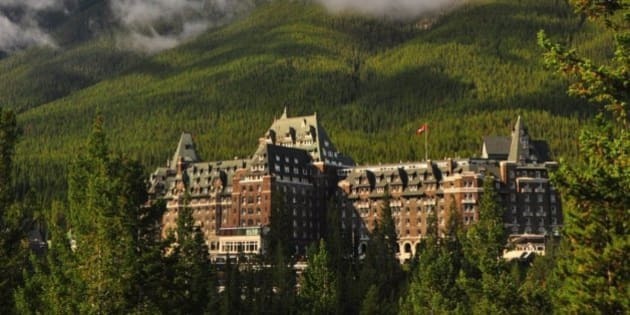 Ivor loved it so much that upon his return to Canada, he sent me a plane ticket, arranged a visa, and offered me a six-month contract to work at the Banff Springs Hotel. A bowl of spicy stew got me into the kitchens of an historic hotel known around the world. I sometimes still can't believe it, but I am so grateful that it happened. Ivor could just as easily eaten my dish and returned to Canada without a second thought. My career certainly would have gone in a different direction. Instead, he became my mentor and showed me how running a business is as much about creating an experience as it is about a product. Ivor believed that if a guest came to the Banff Springs Hotel with a dream, it was his responsibility to make that dream come true. Like the guests, I also had dreams -- I wanted to open my own restaurant. And more than two decades since I first arrived in Alberta, I now have three restaurants (with another on the way), a line of frozen foods bearing my own name, and a food truck based on my travels around India. Earlier this year, when I was approached by the now Fairmont Banff Springs Hotel -- the very place where my Canadian dream started -- I was curious as to how I could help them. They wanted not only to feature a specially created Vij's Indian dish on their Indian Summer menu, but they wanted me to go back to the hotel, to help launch this annual event. I didn't hesitate. Any excuse to go back to my roots is something I relish, and I was honoured to be asked to participate. This May, I will visit the hotel, work with the chefs in the kitchen, and teach them the Indian dish I have selected and adapted for the Banff Springs Hotel clientele. Then, that dish will be recreated to order right through the summer season, by these young chefs who have the same drive and desire to succeed as I did at their age. Because Ivor gave me a unique opportunity, I want to do the same, and I'll be awarding an apprenticeship to one of the kitchen staff, to spend time at my restaurant, My Shanti, in South Surrey, B.C. It's my hope that by learning in my own kitchen, this future culinary star will one day think of me in the same way I regard my own mentor, Ivor, as someone who saw potential and wanted to nurture it, encourage it and perhaps they will remember me when they are at the peak of their journey, wherever their travels take them.